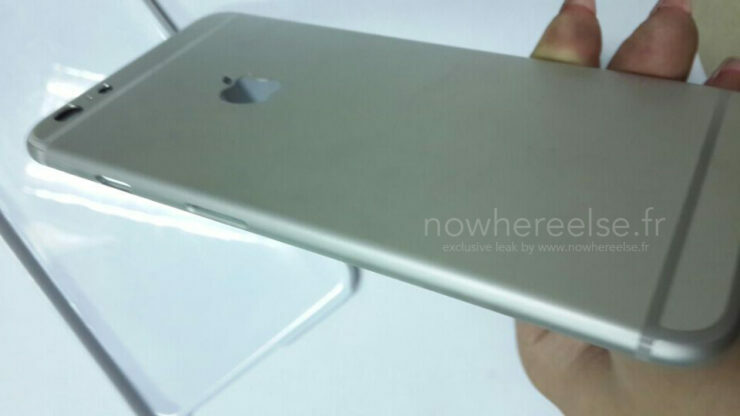 With the amount of iPhone 6 leaks occurring on a daily basis, we doubt that there will be anything surprising left for Apple’s launch event at Flint Center this year. 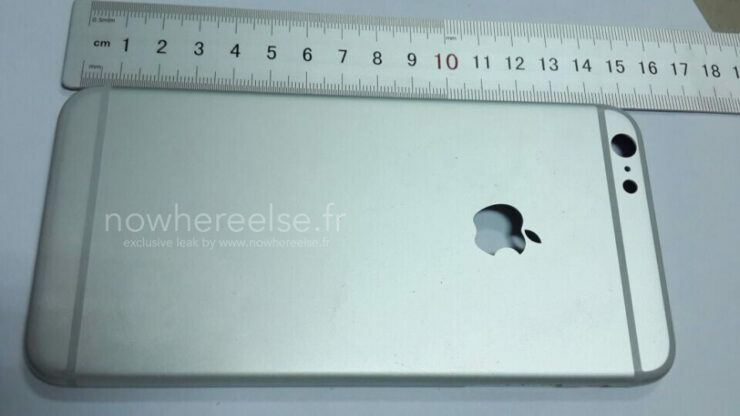 From rumored photographs to hardware components, we really have seen it all. 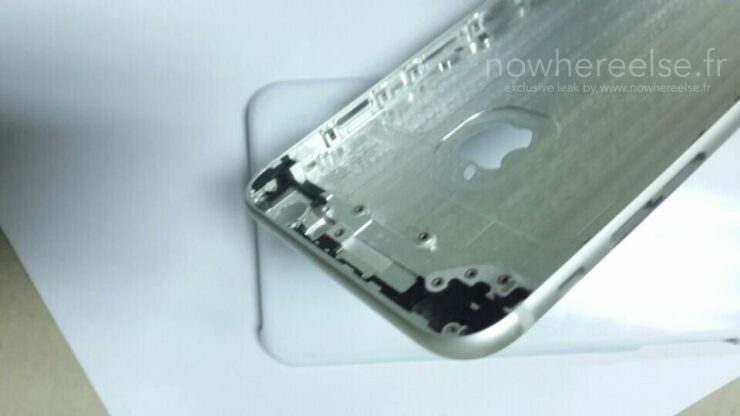 But whenever we get to saying that, a seemingly fresh leak pops up, detailing even more components. 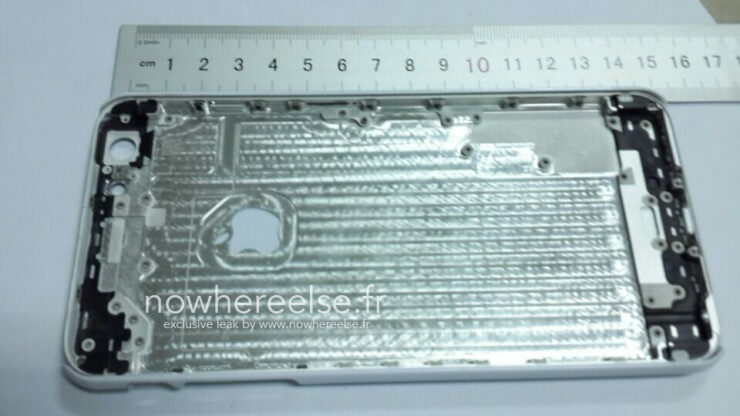 This time it’s the back casing on the iPhone 6 which has been leaked courtesy of the french site NWE.fr. 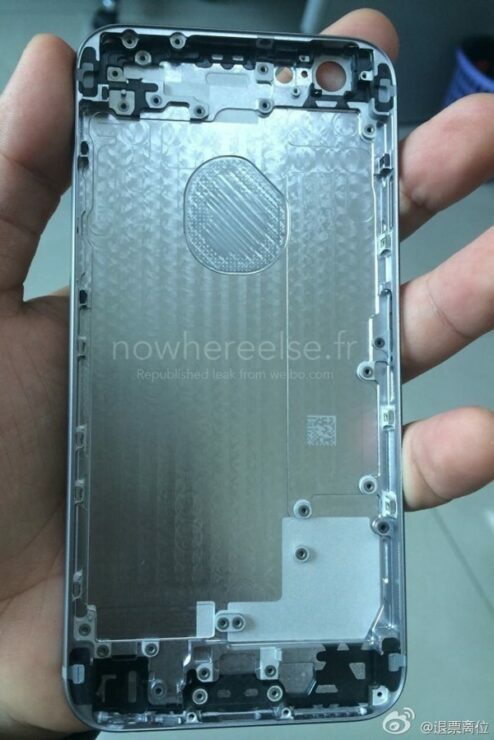 The photos themselves are of high quality so we can take a detailed look at what Apple’s next flagship device can be expected to offered design wise. 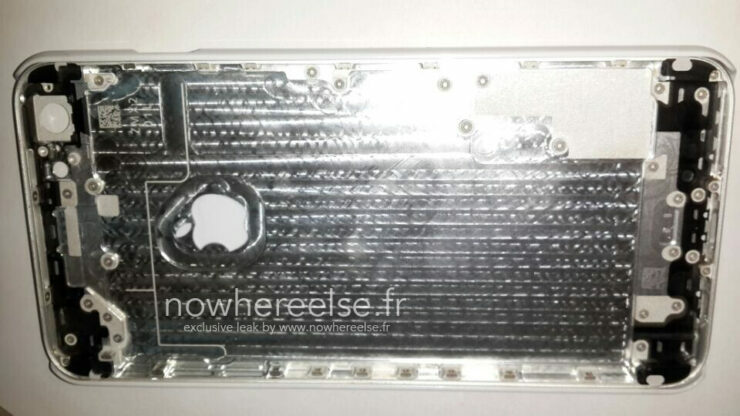 With the rate things seem to proceeding with iPhone 6 case pictures, we’ve taken all the pictures and combined them for your viewing ease. Enjoy! 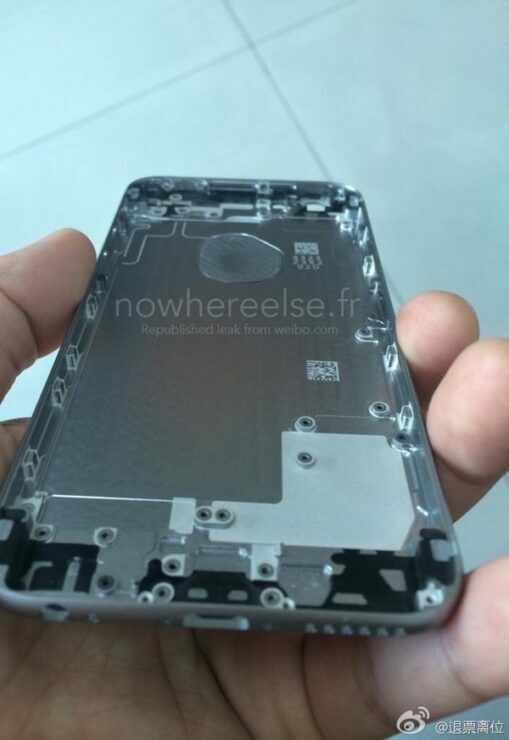 The shell casing pictures are of the space gray version of the iPhone 6. 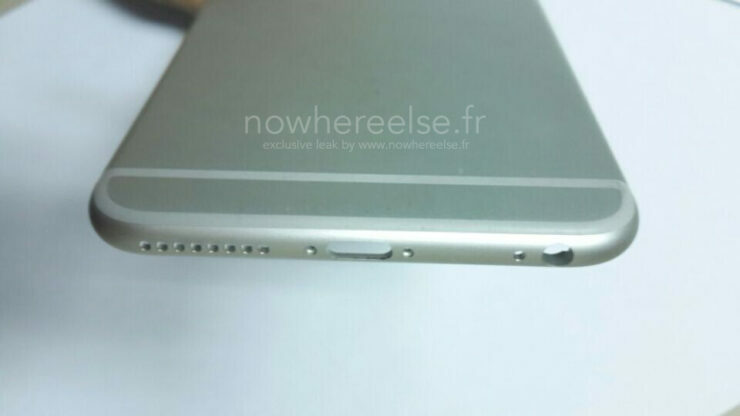 In the photos, the dreaded antennas on the iPhone 6 seems to rather blend nicely with the background. 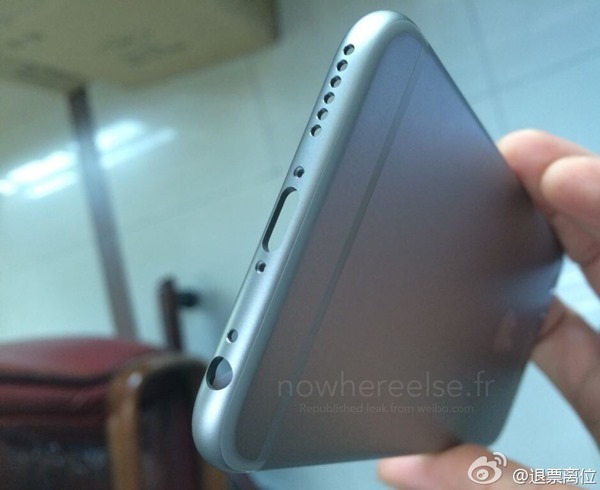 This is in contrast with views floating around which put antenna vs iPhone 6 rather like David vs Goliath. 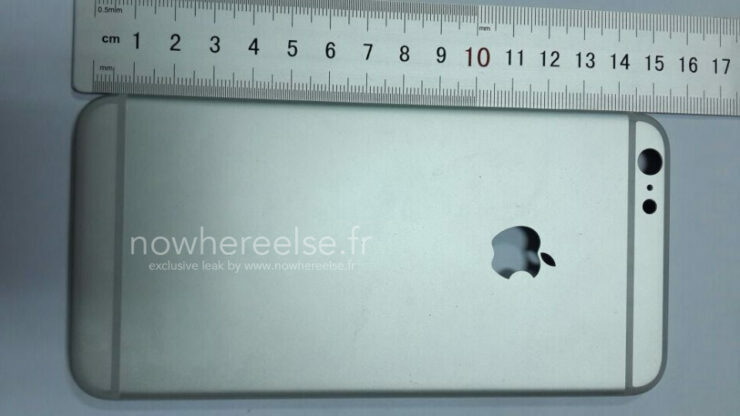 The 5.5 inch iPhone 6 also seems to measure 15 cm in height. 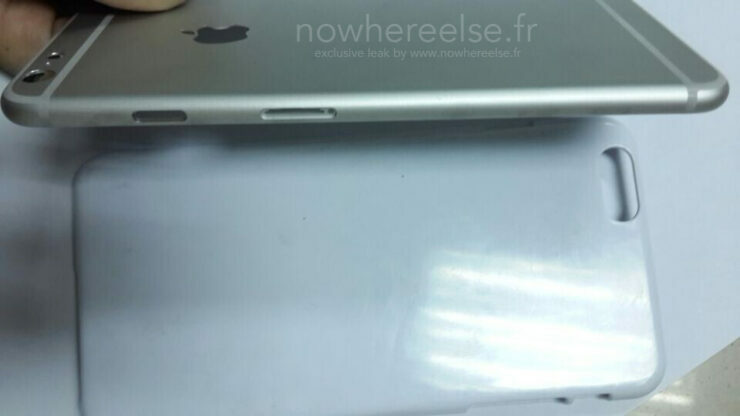 Antennas are a component that Apple is notorious for having difficulties with in the past. With the 4.7 and 5.5 inch variants of the device to be launched within days, we’ll soon find out whether this still remains to be relevant issue today. Until then, take a look at these photos and be afraid if you don’t like what you see. 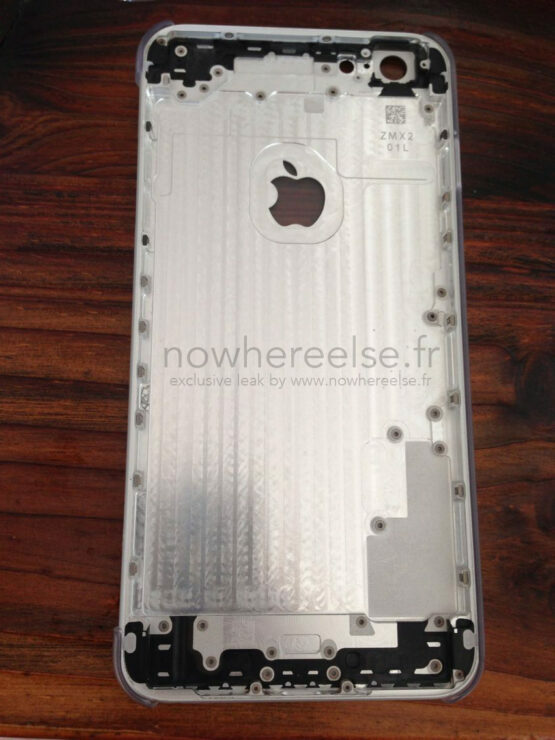 The iPhone 6 is expected to feature several upgrades over the current 5S. 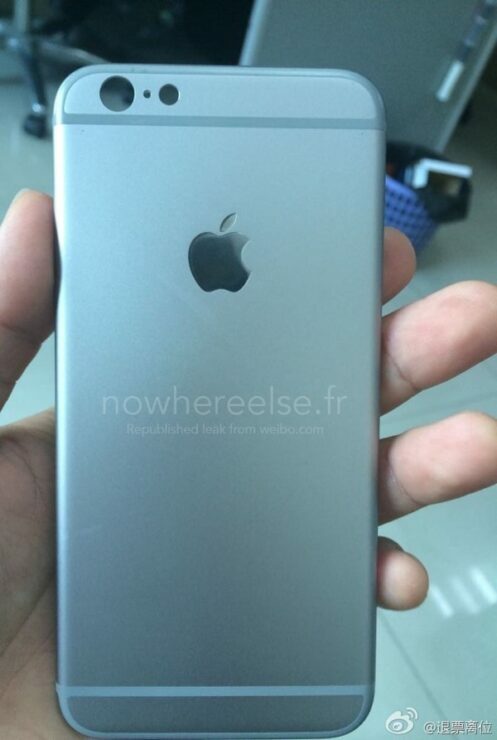 These include a new A8 processor, a new phosphorus co-processor, haptic feedback, mobile payments and of course, iOS 8. We’ll keep you updated as latest developments occur. Update:Nwe.fr clearly seems to be on a good roll here. 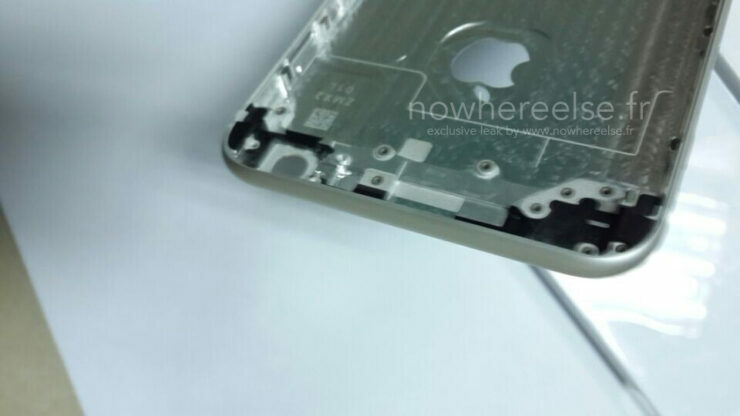 Thanks to the guys over there we can now see almost every angle of the rear casing of the device (Of the 5.5 inch iPhone ‘Air’). Given that they’re authentic. Thanks Guys!